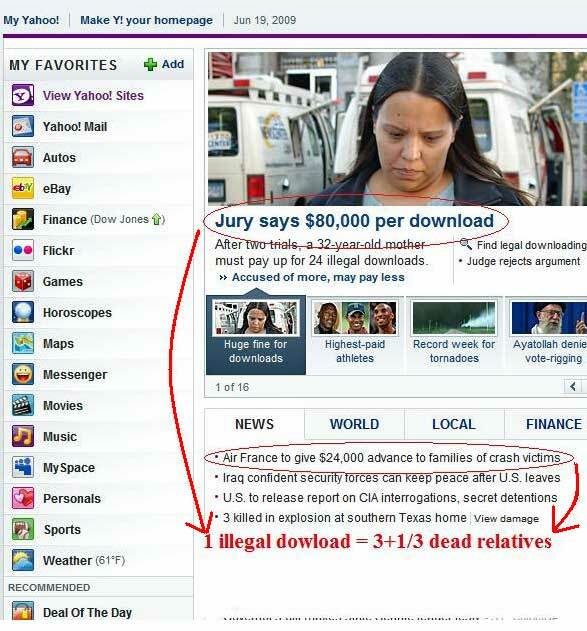 Is illegal downloading considered stealing? There’s a general perception that illegal downloads of movies, music or books is akin to stealing the works of the artist, singers and authors. But downloads are more akin to trespassing than it is stealing–they’re nothing like stealing and if you take some time off to think about it, you’d figure this out too. When you steal something, you’re denying the victim something,if you steal my car, you’ve taken something from me that I can no longer use. Stealing is a zero sum game, where the perpetrator gets something, and victim loses something. 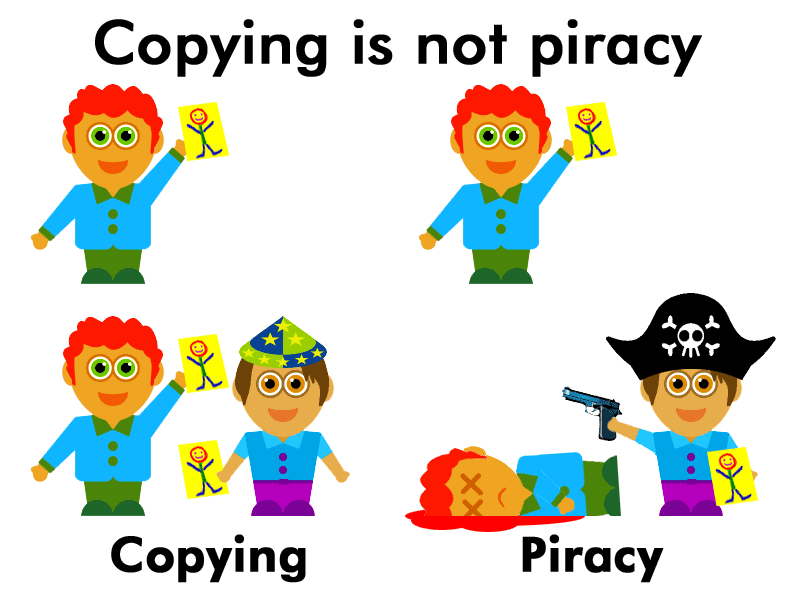 Obviously stealing is bad, but downloading isn’t stealing. When you illegally download music, you’re not denying anyone else something physical. The music that you downloaded is still on the server you sourced it from, all you did was make a copy. Illegal downloading, isn’t zero sum, you profited (maybe),but no one lost anything of value. And so the rules that we devise for digital information (which can be replicated freely) shouldn’t be the same rules we apply for physical items like cars, and gold coins (which can’t be replicated freely). Of course, the argument is that illegal downloads deny the content creators income they rightfully deserve, but that’s only true in a handful of cases. If someone refused to sell you their content regardless the price you’d be willing to pay–does it then make it morally wrong for you to download the material? You cannot consider it a loss for the content creator if they never intended to sell the item to you in the first place.You cannot deny income to someone who refuses to take your money, so therefore an ‘illegal’ download isn’t stealing at all. And it doesn’t stop there. What happens if the content creators are just plain jerks–would it be morally wrong to copy their digital data–and would that be considered stealing? So, if you’re unable to get an original copy of a DVD for that 1950’s movie you loved–would downloading the movie illegally make it ‘ethically wrong’? You can’t deny income for something you couldn’t possibly buy, can you? Would downloading a copy of a censored movie in Malaysia be wrong, there’s no legal way for you to purchase the movie anyway? It becomes a question of censorship, and stops becoming one of stealing. How about if the content creator consciously discriminates against you? Would illegally downloading their material be wrong? For example, Netflix is available in the US for $7.99 a month, that’s less than RM30, about 30% what I pay for Astro, and Astro isn’t on demand programming. Why are Malaysians being denied Netflix, a legal and cheaper alternative for movies? And instead forced to buy over-priced DVDs from Speedy if they ever wanted to watch older movies? So on the one hand, the movie industry complains there’s too many illegal downloaders in Malaysia, and on the other they refuse to introduce the means by which those illegal downloaders may have to purchase their content legitimately. Netflix accounts for 30% of US web traffic, and has proven an effective way to get people to stop downloading movies illegally–but yet in Malaysia (and many other parts of the world) it’s being denied to users because the copyright holders don’t agree to it. So they’re refusing to sell you cheaper version of their products, and complain when you don’t buy them. I for one purchase a VPN service just so I can watch Netflix at home–essentially I’m paying for a service, so that I may pay for another service. Isn’t it odd that this is true for many people who don’t have the privilege of living in the USA? Isn’t it discriminatory? Now, just because someone doesn’t want to sell you something, doesn’t give you the right to steal it–but that logic only applies for material things, and not digital information.As I said, when I download something it’s not a zero-sum game. But, that’s not the question–the question is, is downloading something illegally considered theft. Well let’s look to the commandments. When Moses was walking down the mountain with the 10 commandments in tow–no one in that era would have thought it possible that you could own a song, or a story. If the ancient Jews thought that you could own a song, and charge royalty on it–then David would be the worlds richest man on the planet since he wrote most of the Psalms in the bible and every Bible ever printed would have to pay him a royalty. But we don’t pay David a royalty, not even Boney M who literally ‘stole’ the Psalm 137 for their hit By the rivers of Babylon. So obviously the ancient world didn’t have copyright laws, and they but they did have songs, and they would have never considered replicating a song to be ‘stealing’. The idea of owning information would have been as foreign to Moses as Kimchi Crackers with Guacamole sauce. We can’t possibly equate the “Thou Shalt not lie” part of the commandments with illegal downloading–since it’s for the most part a pretty brand new law. On a separate note–I believe that exclusive deals between content providers and delivery services should be illegal in Malaysia, because it promotes an anti-competitive environment. Astro is a delivery service for many content providers, like HBO and ESPN. Astro has exclusive deals with these proviers, and so anyone that wants to watch HBO and ESPN needs to subscribe to Astro (there’s no other way). Which gives Astro an unfair advantage, that is good for Astro but bad for the consumer. Astro has to pay a premium for the exclusivity (obviously)–and passes on that premium price to customers who no longer have any choice if they wanted to watch HBO, ESPN, CNN and MasterChef Australia. And because customers have no choice, Astro no longer has an incentive to be competitive. We have lots of hungrier delivery services in Malaysia like TM (Through HYPP TV), ABN, etc etc, that would bring competition to this space, but struggle because of the exclusive deals Astro has means that these hungrier players are left with 2nd rate channels that nobody would watch. If we made illegal to have those exclusive clauses, Astro would have to compete for every household subscription with the same vigor that telcos compete for their customers, and we’ve seen how the telco prices have drastically dropped over the years, the 5Mbps Unifi connection has remained the same price from it’s launch to now, but Astro has probably increased its prices a good number of times since then, when I was in Uni as SMS cost 15 cents each, and now you can get deals that bring that price down to less than 1! So you’re left a choice, consider downloading as a reality of doing business on the internet–or as stealing. Thanks to Izzudrecoba, people in Malaysia can enjoy Netflix, Amazon Prime, HBO GO, Hulu Plus and much more!